The Car - Motorcycle - Boat Rental in Andros Island is the best way to explore a large island and discover its hidden treasures. 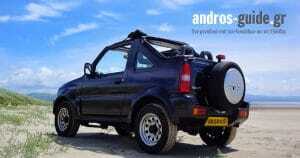 Andros is a large island, so it should be good to have a vehicle. There are many points of interest on the island, such as beaches and sights. Regions with a special natural beauty that you should definitely see. If you want to get to know all the corners of Andros, then it is absolutely necessary. So if you do not have your own vehicle, there are several businesses for Car - Motorcycles - Boats Rentals. They provide many quality options in categories such as jeeps, conventional scooters, ATV, moto and boats. They have all the necessary standards and regulations and offer quality vehicles and services. It sure that help you the most. Choose the vehicle that suits you best from the list below about Car and Motorcycle and Boat Rentals and have a good ride exploring this unique island of Cyclades, Andros! Captain’s Car Rental is a new car rental company founded in 2018 in Andros. It offers new cars such as family SUVs, 4 × 4, automatic, at reasonable prices. All of our cars are brand new models of 2018. The Escape in Andros Rent a Car is located at the entrance of Andros Island at the port of Gavrio. Our goal is to offer you a variety of services in the field of tourism. Rent your bike at the best prices and enjoy your holidays on our island. The Colours Rent a Car rental office is conveniently located in the port of Gavrio just a few meters from your ship’s exit. If you are looking for Motorcycle Rentals in Andros with consistency and quality then surely Dinos rent a bike is what you are looking for. We provide comprehensive and reliable solutions for renting motorcycles, Scooters and ATVs. We offer high quality services, cause traveling is our passion. 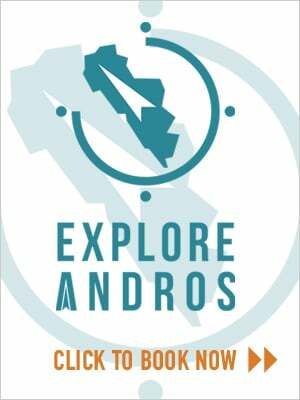 Euro Car Andros is a car & jeep rental agency in Gavrio in Andros Island and offers a wide variety of passenger and family cars for rent while it is specializing in 4×4 vehicle rental. At Odysseas Rent a Bike you will find a wide range of scooters and quad bikes “ATV” at great prices, so you can discover the beauties of Andros in an easy way.